10 Reasons Why You Should Eat Raw Garlic Everyday! Garlic does much more than just keeping the blood thirsty vampires at a distance. So, if you have been giving this one of a kind health booster a miss because of its stink, here are 10 reasons why you should include them in your diet every single day and that too, RAW! Win over infections – Yes; garlic has a mighty role to play when it comes to combating bacterial or viral infections in the body. 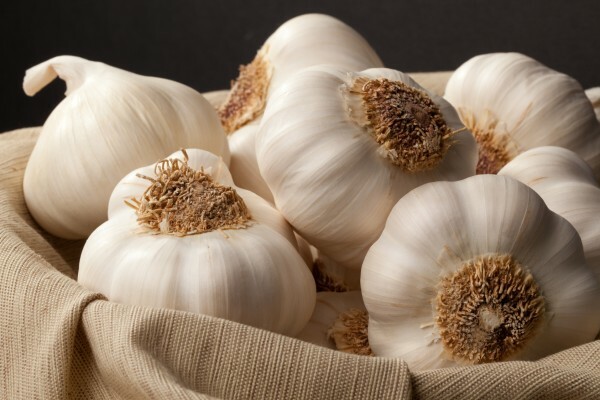 Throw in fungus, yeast and worms into the basket of infection horrors, and you will find a complete and uncompromised solution in the otherwise pungent garlic cloves. Combating common cough and cold – Garlic has been seen to fair very well when it comes to treating and combating common cough and cold. Its effects in soothing bronchitis is often considered unparalleled. Reversing liver injuries caused by alcohol – A certain organosulphur compound derived from garlic has been seen to produce a literally miraculous effect in reversing ethanol induced liver injuries. So, if you have been overdoing your Friday and Saturday nights in the pub, chewing garlic cloves in highly recommended for the sake of your health. Anti Cancer properties – A few cloves of garlic a day, does keep a variety of cancer away. Prostate, colon, stomach, breast and pancreas can be named as some among the many. Certain content named as allyl sulfides have been named as the cause behind such benefits. Diallyl sulfide in garlic has been named for having a direct effect in combating breast cancer. Anti Blood clotting properties – Garlic is known for preventing thickness in blood. This works wonders for those with heart conditions because this property is directly helpful in preventing heart attacks and strokes. Blessing for the arteries – Age takes a toll on the arteries making them more rigid preventing their ability to stretch. Compounds present in Garlic have been seen to have direct effect in maintaining elasticity of arteries keeping them functioning perfectly beyond the scope of chronological age. Combat iron deficiency – Garlic helps in iron metabolism which is critical for preventing its deficiency in the body. This is thus, one of the most important ingredients in combating anemia. Managing diabetes – Garlic helps in regulating insulin release to a healthy level which is crucial for maintaining sugar level in the body. People standing at the brink of diabetes suffering high sugar levels and those already diagnosed with the condition can thus, benefit greatly from garlic. Aphrodisiac properties – Yes. Garlic does contain aphrodisiac properties which can enhance your intimate experiences! You should try it to believe it. Shedding pounds – This may come as a piece of welcome news for those in the process of shedding a few excess pounds. The results of a recent study has disclosed the fact that garlic helps regulate the formation of fat cells in the body which contributes in preventing putting on dress sizes! While garlic has a wealth of health benefits to offer, it is necessary to ensure that while consuming garlic, the nutrition in this health booster remains unaltered. You can swallow a few crushed cloves or stir fry it for less than 2 minutes and add it to your meals for best results. Is Your Dinner Timing Adding To Your Adipose?